Food, Farm, and Sustainability » What’s happening at the farm? What’s happening at the farm? 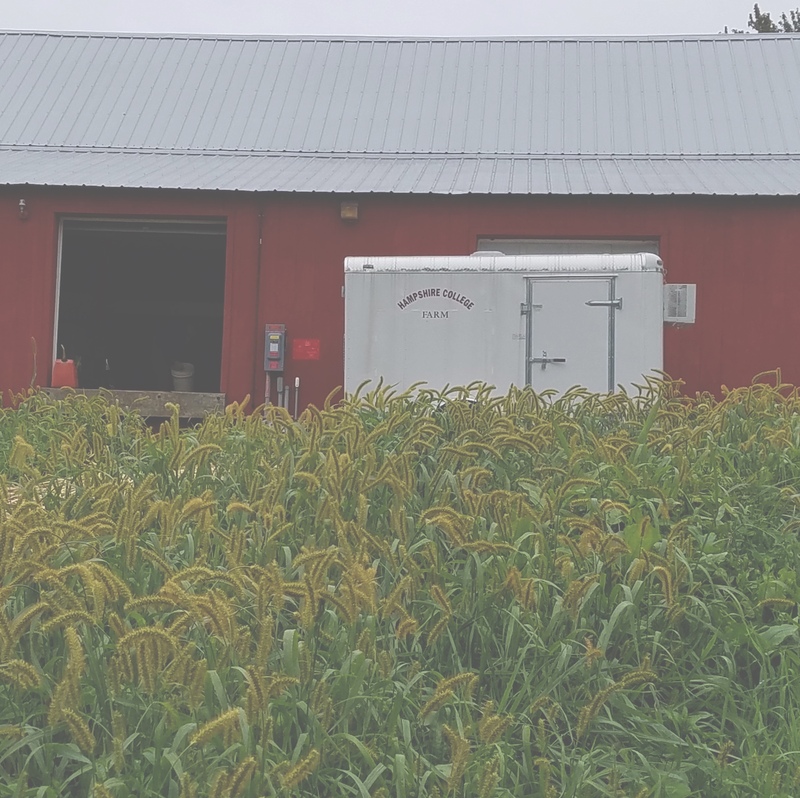 There are so many things happening at the farm right now, it’s hard to keep track! First, we want to welcome our new summer student crew. 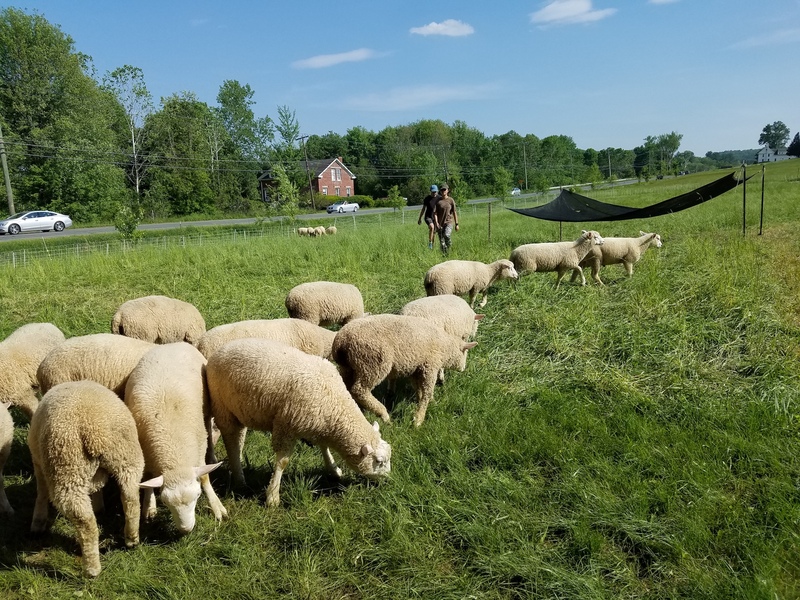 These terrific students work hard all summer long planting, weeding, watering, and harvesting to bring the Hampshire College community its fresh vegetables, herbs, and flowers for the dining hall and the Hampshire College CSA. They also help tend the animals – including newly-hatched baby chicks and a set of piglets that is due any day now. 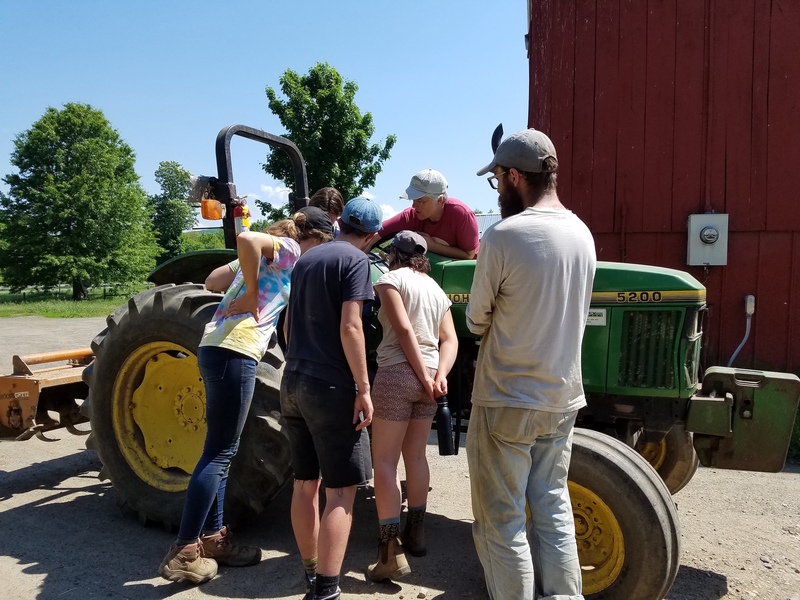 During this process, they get to learn a ton about farming and sustainable agriculture, from learning how to drive a tractor to how to pound tomato stakes. We like to think they have some fun along the way. And, speaking of animals, our new Assistant Director for Livestock, Mo Phelon, has been hard at work putting up new fencing for our lambs (who seem to be real escape artists this year), cleaning out and retiring old chicken huts and other unused structures, adding two new Red Angus steer to our herd of cattle, moving animals in preparation for Farm Camp, bringing in a couple of very charming farm kittens, and otherwise getting the place in order for the beginning of the fall semester. We certainly appreciate all of her hard work. Go, Mo, go!!! Want to stop buy for a visit, or buy a CSA share? We have both meat and vegetable CSA memberships for the fall. Learn more at our website, check out our Facebook page, or sign up here. See you at the farm!! Reeve Gutsell is the Food, Farm, and Sustainability Program Coordinator at Hampshire College. She has a Master's degree in Resource Management and Conservation, as well as a long-term interest in the intersection of agriculture, environmental issues, social justice, and food systems. She enjoys the walking around the farm in all types of weather, and almost always finds something beautiful or interesting to explore.